are timepieces a thing of the past? i've run across a few people who said they didn't need a watch because they had their phone. while it's true that you can find the time on your phone, i'd have to dig thru my bag to find the phone and press the home button to light up the screen. two steps vs. a quick glance at my wrist. what if you were surfing in the morning before work...how would you know when to come in? would you have your phone on you? likely not, but a water resistant watch would come in handy. what about fashion, style, and status? watches are a statement of one's style, and a fashion accessory that both men and women can enjoy. so to answer the question...timepieces are not a thing of the past. there will always be a need (and want) for quality watches. do you wear a watch on the daily? i love watches and have always worn watches. i am not a collector of watches because i usually invest in one [at a time] that i love and want to wear on the daily. 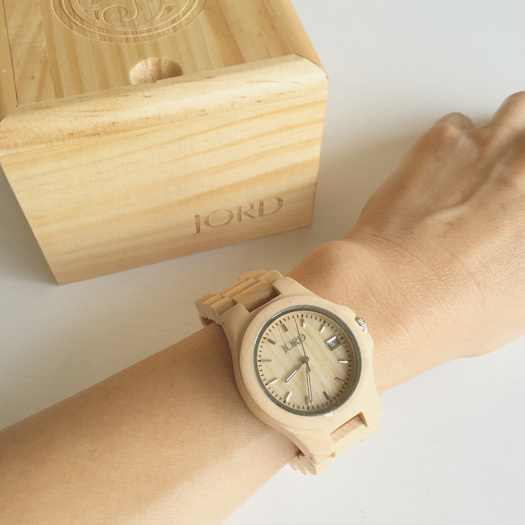 the latest has been this beautiful wood watch from JORD. i chose maple because it's neutral for my skin tone and versatile enough to be worn with many colors and styles (just check my instagram!). the details are simply amazing, the watch is very lightweight, and each comes in a beautiful box. 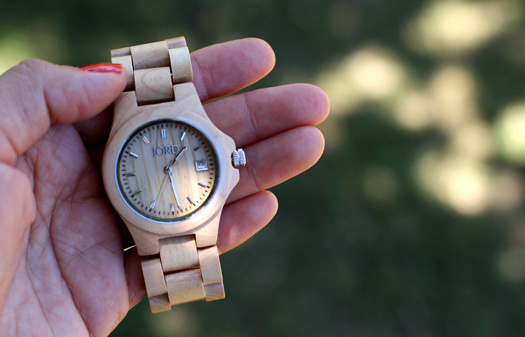 I love JORD watches; the lightweight wood is perfect for summer! yes gracey, very lightweight which i like! glad you love yours, too! Jord makes so many fun watch. I where a watch so I know what time it is at work. haha, yes...must countdown those work hours! I've been seeing these Becks! Looks great on your wrist and outfit. I use my phone as an excuse not to wear a watch but you have made a strong case to signify there quick use. Also, this watch you have on is soooo fab!!! My hubby would agree with you on the watches - it really is a statement piece and he can never live without one. I like your wooden watch.. it's very unique!! Water-resistant too? Love that printed top with the shorts! Thank youuuu :))) and never stop writing your blog!